AWARD - The Executive Director of the National Oceanography Centre, Professor Ed Hill OBE, was awarded an Honorary Fellowship from Bangor University for services to marine science in 2014. Ed was a former postgraduate student at the university, taking an MSc and PhD in Physical Oceanography, and was later a member of the academic staff in the School of Ocean Sciences. He was appointed Officer of the Order of the British Empire in 2010 for services to environmental sciences and also received an Honorary Doctorate in 2011 from the University of Sheffield. In a career spanning more than 30 years, Ed’s research experience is in continental shelf sea processes, in particular, density driven flows such as frontal jets and dense water cascades. He took up his current position as Executive Director at NOC in 2010 where he had previously worked as a Director and he also serves on a number of international bodies. An Honorary Fellowship is a highly-prestigious award, recognising distinguished contributions made by individuals in their field. The NOC is supported by the National Environment Research Council (NERC) and is based in Southampton on the south coast of England and Liverpool. The NOC agree that ocean science is too great for any one nation acting alone. The UK has a long tradition as an ocean science pioneer with world leading capabilities and the NOC is one of the top oceanographic institutions in the world. They provide the UK with the national capability needed to be a global player and to lead and participate in international co-operations. The NOC undertakes world leading research in large scale oceanography and ocean measurement technology innovation. They work with Governments and businesses to turn great science and technology into advice and applications. The NOC supports the UK science community based in universities and smaller research institutes with scientific facilities, research infrastructure and data assets - enabling the UK to harness the full power and diversity of its scientific talent in ocean science. That said, for private research organizations it is a little bit closed shop accessing this data despite so-called knowledge transfer. The NOC employ around 650 staff. They are co-located at both of their sites with leading UK Universities, allowing them to influence students and conveniently attract more staff for marine research. We are home to the nation’s marine data assets; the British Oceanographic Data Centre, the British Ocean Sediment Core Research Facility, the National Marine Equipment Pool, Europe’s largest fleet of autonomous and robotic vehicles, and we manage two state of the art research ships. In 2015 the Marine Robotics Innovation Centre was opened at our Southampton site to provide a vital link between science and business, enabling technology and research to transfer to industry. The NOC claim to work collaboratively with over 30 other UK marine institutions through the NOC Association. 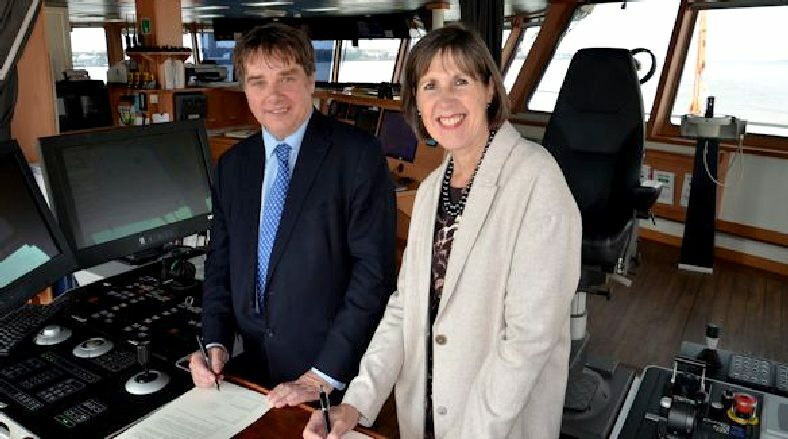 They are supported by the NOC Stakeholder Advisory Board and engage with users of the UK marine infrastructure, operating through the Marine Facilities Advisory Board. We represent the UK internationally, leading the UK delegation of the Intergovernmental Oceanographic Commission of UNESCO, through our membership of the European Marine Board, and through partnerships with other research institutions and organisations worldwide. The NOC provided the UK Delegation to the Intergovernmental Oceanographic Commission of UNESCO (IOC). The delegation was led by NOC Executive Director, Prof Ed Hill, and supported by Head International and Strategic Partnerships and Marine Science Policy Adviser Alan Evans, and Rolly Rogers, Advisor Marine Law and Policy, who participated in the 50th Session of the IOC-UNESCO Executive Council and in the 29th Session of the IOC Assembly. The IOC is playing an increasing role in enabling and coordinating global scale marine scientific research, capacity building and transfer of marine technology. This is particularly relevant given the prominence of the UN Sustainable Development Goals, in particular Sustainable Development Goal 14 - Life Below Water. The IOC provides opportunities for Member State individual scientists, practitioners, and their institutions in ocean and marine science, planning and resource management to enhance the quality, scope, visibility and societal value of their research. * Map the ocean floor and its resources to support their sustainable management.